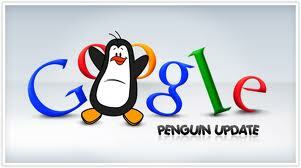 Google released another update is called as "Google Penguin" update. it's sound very cute much like friendly like google panda update. Penguin is ans update to Google algorithm that was released on 24th April 2012, with intention of penalizing sites for over-optimization, otherwise known as spamming, i want to say in early days no one knows exactly what is update and why, but i will do share some thoughts according me and our team. "The change will decrease rankings for sites that we believe are violating Google’s existing quality guidelines. We’ve always targeted web spam in our rankings, and this algorithm represents another improvement in our efforts to reduce web spam and promote high quality content. While we can’t divulge specific signals because we don’t want to give people a way to game our search results and worsen the experience for users, our advice for webmasters is to focus on creating high quality sites that create a good user experience and employ white hat SEO methods instead of engaging in aggressive webspam tactics"
Google focuses on their overall intention with update. the key things that we believe high quality sites and user experience. after reading the full Google blog post, was looking at keyword stuffing in content, as Google gives a really over the top example of what this looks like. The example is a poor one, as that sort of keyword stuffing has been slapped by Google for years, so I guess it’s some level of more critical analysis of over use of keywords in your On Page SEO that this update was targeting.